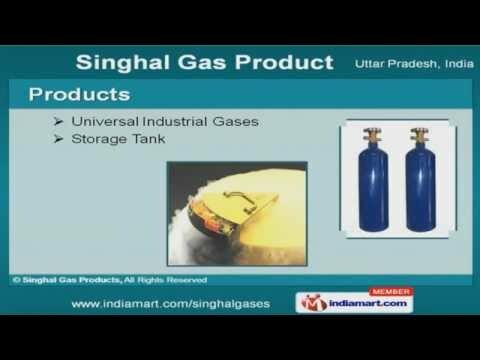 Welcome to Singhal Gas Product Manufacturer & Supplier of Industrial Gases. The company was established in 2009 at Ghaziabad. Our sound infrastructure & wide distribution network make us stand apart from also-rans. international quality standards & timely delivery schedules make us stay ahead of our competitors. We have earned esteemed key clients like Hero Motors, Shri Krishna Gases & NTPC. Technicians, Researchers & Quality Controllers are some of our expert team members. Our products include Universal Industrial Gases & Storage Tanks. Argon Gas, Hydrogen Gas & Liquid Nitrogen are some of our best selling products. We also offer Calibration, Helium Gas & Calibration Gas Mixtures that are available at market leading prices. Along with that we provide Bulk Storage & Cluster Tanks that are a class apart.